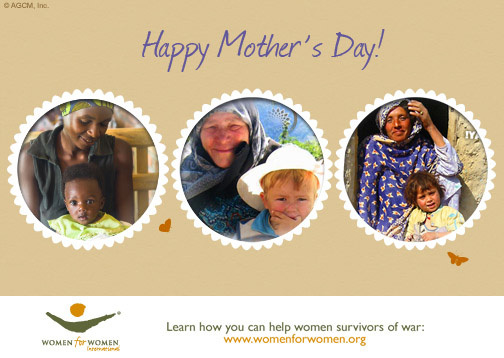 Women for Women International works with socially excluded women in eight countries where war and conflict have devastated lives and communities. Each woman we serve has her own story--some of loved ones murdered, and others of physical and emotional trauma. Most have endured a struggle for survival. Women who enroll in our one-year program learn job skills and receive business training so they can earn a living. They come to understand their rights and how to fight for those rights in their homes, their communities and their nations. They learn how to become leaders. Women for Women International is changing the world, one woman at a time.